Toyota will be back in the Ride & Drive Center at this year’s Expo! All five days of the show, attendees at the Expo can take the latest offerings out on a test drive around downtown Cincinnati! The Toyota Drive Center, which debuted Cincinnati Auto Expo in 2016, is the best way to test out for yourself the latest innovations in performance and handling for the 2019 model year. This year’s lineup features several of the most popular Toyota. 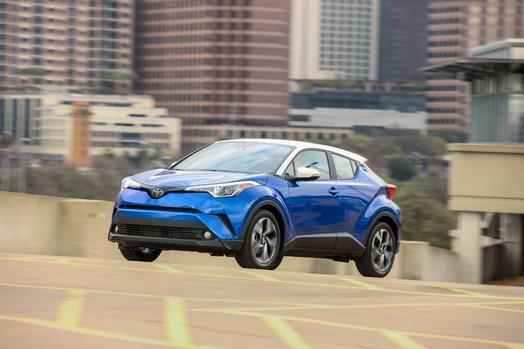 With SUVs and Crossovers making up a bigger share of sales than ever before, this will be the perfect opportunity to check out Toyota’s entries into this category with the Highlander, RAV4 and C-HR. The Toyota Camry will also be on site if you haven’t yet driven one of the best-selling cars in the country. If there are any models you’re hoping to see that won’t be at the Toyota Drive Center, chances are you’ll be able to check them out inside the main exhibit hall, where Toyota will feature its main display. If you are planning on taking part in the test drive, however, make sure you bring a valid driver’s license and proof of insurance.